020 / 365 - While the snow has continued over the weekend, it is starting to ease. We took the chance to go for a walk in the local Southwood Woodland and I brought the camera along. Unfortunately I forgot to check the battery, and was only able to take a few shots before it died. 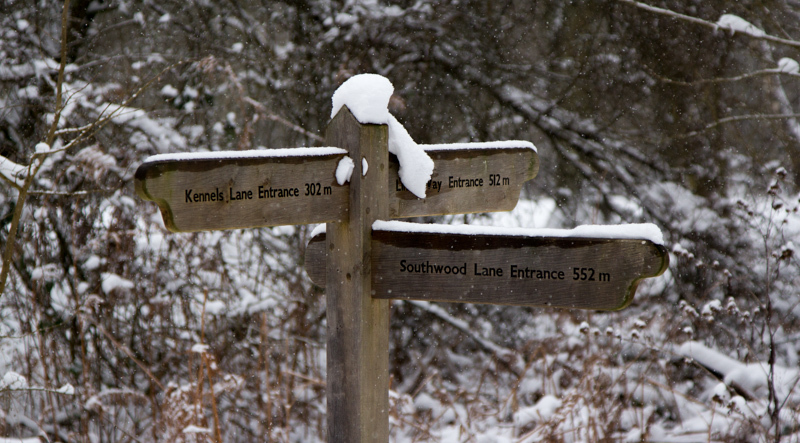 The photo is of one of the many signposts in the wood, guiding visitors where to find the various paths and exits.